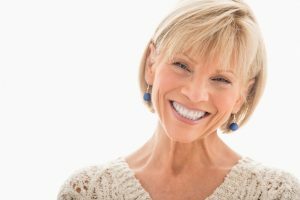 If you have a less than perfect smile, you can quickly and easily get the amazing smile you’ve always wanted with porcelain veneers in Los Angeles. A cosmetic dentist in Los Angeles will give you a custom smile by covering your cosmetic flaws with porcelain fronts that are bonded to the front side of the teeth. With a simple, noninvasive procedure, your smile will be completely transformed. Porcelain veneers are very thin false fronts that are bonded to the front of the teeth to hide cosmetic flaws. Since porcelain is used, the shells are thinner than other forms of dental veneers, allowing more of your tooth’s structure to remain intact during the bonding process. Not to mention, porcelain mimics your natural enamel, so you’ll have a natural-looking smile you’ll love showing off. Porcelain veneers are effective for hiding a number of cosmetic flaws while also giving the teeth a shapelier, more proportionate appearance. By attaching veneers to the front of the teeth, you’ll instantly hide discoloration, chips and cracks. Not to mention, veneers are the perfect alternative to orthodontic treatments because they can be used to fix small gaps in the teeth while also making slightly crooked teeth appear straighter. For those who have smaller than normal teeth or teeth that have other appearance abnormalities, veneers will make your teeth more proportionate. The process to getting veneers is fairly simple. First, you’ll need to undergo a consultation to determine if veneers are right for you. If you’re a candidate for veneers, we will clean and prepare your teeth. Preparation involves lightly etching the surface of your teeth to allow a strong bond between the tooth and the veneer. Then, we will take images and impressions of your teeth to create custom veneers in the lab. While you wait for your new veneers to be made, we will attach temporary veneers, which are removed once your new veneers are ready. We will bond your veneers to your teeth to give you an amazing new smile. Caring for porcelain veneers is simple. Just brush and floss your teeth regularly and visit your dentist twice a year for checkups and cleanings. While porcelain veneers are durable, they can become damaged, so you’ll need to avoid things that may cause them to chip or crack, such as chewing on ice. You’ll also need to use nonabrasive products to prevent scratches in the veneers. With the right care, your new veneers will last an average of 10 years before needing replacement. At Westside Dental Associates, we are the cosmetic dentist in Los Angeles for personalized and comfortable care. We use the art of cosmetic dentistry to instantly transform your smile with porcelain veneers. If you’re ready to get the amazing smile you’ve always wanted, call our office today at (310) 945-2870 for a consultation with Dr. Latner to see if you’re a candidate for veneers. by: Les Latner at June 10, 2016 .